Who is considered the father of psychology? This question does not necessarily have a cut-and-dry answer since many individuals have contributed to the inception, rise, and evolution of modern day psychology. We'll take a closer look at a single individual who is most often cited as well as other individuals who are also considered fathers of various branches of psychology. Wilhelm Wundt is the man most commonly identified as the father of psychology. Why Wundt? Other people such as Hermann von Helmholtz, Gustav Fechner, and Ernst Weber were involved in early scientific psychology research, so why are they not credited as the father of psychology? Wundt is bestowed this distinction because of his formation of the world's first experimental psychology lab, which is usually noted as the official start of psychology as a separate and distinct science. By establishing a lab that utilized scientific methods to study the human mind and behavior, Wundt took psychology from a mixture of philosophy and biology and made it a unique field of study. In addition to making psychology a separate science, Wundt also had a number of students who went on to become influential psychologists themselves. Edward B. Titchener was responsible for establishing the school of thought known as structuralism, James McKeen Cattell became the first professor of psychology in the United States, and G. Stanley Hall established the first experimental psychology lab in the U.S.
Wilhelm Wundt was a German psychologist who established the very first psychology laboratory in Leipzig, Germany in 1879. This event is widely recognized as the formal establishment of psychology as a science distinct from biology and philosophy. Among his many distinctions, Wundt was the very first person to refer to himself as a psychologist. He is often associated with the school of thought known as structuralism, although it was his student Edward B. Titchener who was truly responsible for the formation of that school of psychology. Wundt also developed a research technique known as introspection, in which highly trained observers would study and report the content of their own thoughts. Wilhelm Wundt graduated from the University of Heidelberg with a degree in medicine. He went on to study briefly with Johannes Muller and later with the physicist Hermann von Helmholtz. Wundt's work with these two individuals is thought to have heavily influenced his later work in experimental psychology. Wundt later wrote the Principles of Physiological Psychology (1874), which helped establish experimental procedures in psychological research. After taking a position at the University of Liepzig, Wundt founded the first of only two experimental psychology labs in existence at that time. Although a third lab already existed—William James established a lab at Harvard, which was focused on offering teaching demonstrations rather than experimentation. G. Stanley Hall founded the first American experimental psychology lab at John Hopkins University. Wundt is often associated with the theoretical perspective known as structuralism, which involves describing the structures that compose the mind. Structuralism is regarded as the very first school of thought in psychology. He believed that psychology was the science of conscious experience and that trained observers could accurately describe thoughts, feelings, and emotions through a process known as introspection. However, Wundt made a clear distinction between introspection, which he believed was inaccurate, and internal perception. According to Wundt, internal perception involved a properly trained observer who was aware when a stimulus of interest was introduced. Wundt's process required the observer to be keenly aware and attentive of their thoughts and reactions to the stimulus and involved multiple presentations of the stimulus. Of course, because this process relies on personal interpretation, it is highly subjective. Wundt believed that systematically varying the conditions of the experiment would enhance the generality of the observations. While Wundt is typically associated with structuralism, it was actually his student Edward B. Titchener who influenced the structuralist school in America. Many historians believe that Titchener actually misrepresented much of Wundt's original ideas. Instead, Wundt referred to his point of view as volunteerism. While Tichener's structuralism involved breaking down elements to study the structure of the mind, Blumenthal (1979) has noted that Wundt's approach was actually much more holistic. Wundt also established the psychology journal Philosophical Studies. In a 2002 ranking of the most influential psychologists of the twentieth-century, Wundt was ranked at number 93. The creation of a psychology lab established psychology as a separate field of study with its own methods and questions. Wilhelm Wundt's support of experimental psychology also set the stage for behaviorism and many of his experimental methods are still used today. Wundt also had many students who later became prominent psychologists, including Edward Titchener, James McKeen Cattell, Charles Spearman, G. Stanley Hall, Charles Judd, and Hugo Munsterberg. Other Thinkers Also Considered "Fathers of Psychology"
Gordon Allport: The Father of Personality Psychology; he was one of the first psychologists to study personality. Wundt was not only the very first person to refer to himself as a psychologist, he also established psychology as a formal discipline separate from philosophy and biology. While his introspective method does not meet the empirical rigor of research today, his emphasis on experimental methods did pave the way for the future of experimental psychology. Thanks to his work and contributions, a whole new field was established and inspired other researchers to explore and study the human mind and behavior. Obviously, not everyone is going to agree with these generalized titles. A few people might suggest that Freud is the father of psychology since he is perhaps one of its most "known" figures. Others might suggest that Aristotle is the true father of psychology since he is responsible for the theoretical and philosophical framework that contributed to psychology's earliest beginnings. Still others might argue that those earliest researchers such as Helmholtz and Fechner deserve credit as the founders of psychology. No matter which side of the argument you are on, one thing that is easy to agree on is that all of these individuals had an important influence on the growth and development of psychology. While the theories of each individual are not necessarily as influential today, all of these psychologists were important in their own time and had a major impact on how psychology evolved into what it is today. Rieber, RW (ed). 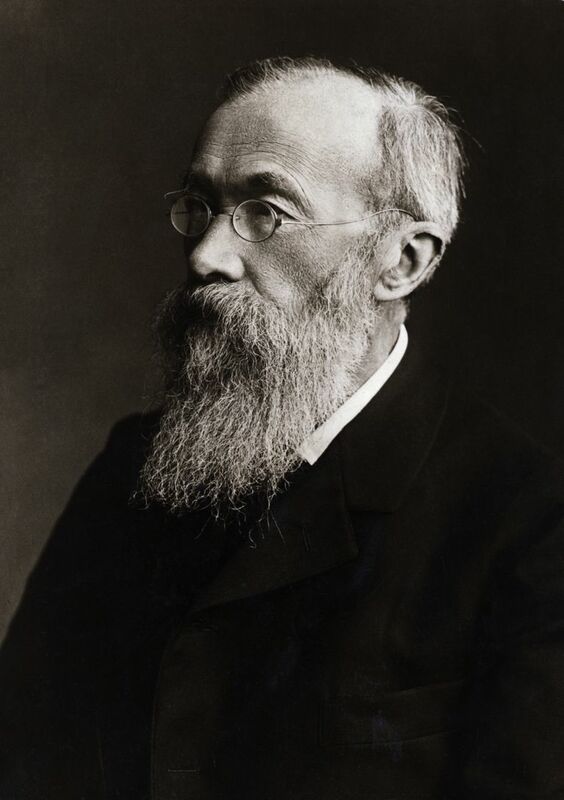 Wilhelm Wundt and the Making of a Scientific Psychology. New York: Plenum Press; 2013.
Who Founded the First Psychology Lab?